The Godfather Trilogy is the benchmark for all cinematic storytelling. 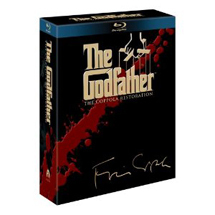 Francis Ford Coppola's masterful adaptation of Mario Puzo's novel chronicles the rise and fall of the Corleone family in this celebrated epic. 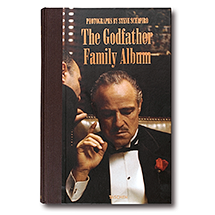 Collectively nominated for a staggering twenty-eight Academy Awards, the films are the winner of nine, including two for Best Picture for The Godfather and The Godfather Part II. Four discs including all three films and over 4 hours of supplemental materials. The Godfather and The Godfather Part II are fully restored with new 5.1 digital surround sound. The Godfather Part III is newly remastered.